These 6-sided word dice are 16mm and come in assorted colours in a set of 10 pieces. 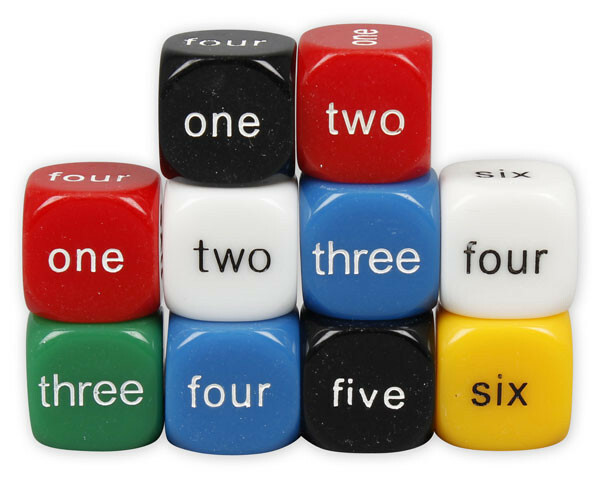 These dice display the words for the numbers One through to Six instead of the standard spots. Dice are a versatile tool to reinforce key maths concepts like counting, number recognition, probability and more. They are a great resource for various maths activities.